Why, ten years after his death, Harold Pinter's plays are so popular today. Javaad Alipoor's docu-drama about disaffected young men who are recruited by IS, or the Alt Right. The recent Pinter season at the Pinter Theatre in London, culminating in the current production of Betrayal starring Tom Hiddleston, Zawe Ashton and Charlie Cox, suggests that Harold Pinter has a durability that other writers of his generation may not be able to claim. What are the qualities that give his work resonance to an audience today? 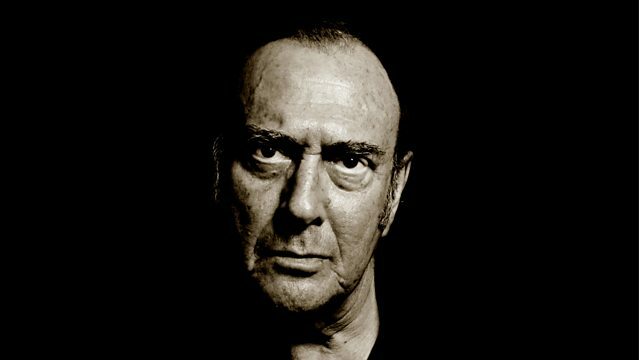 The director Jamie Lloyd, theatre critic and Pinter biographer Michael Billington, and Dr Catriona Fallow, research fellow on the Harold Pinter: Histories and Legacies project, tell Front Row why they think his work endures. In his award-winning play The Believers Are But Brothers, Javaad Alipoor invited audiences to experience the world of young disaffected men online by joining a WhatsApp group. Alipoor talks to Stig Abell about the play which tells four fictional stories - an Islamic State group recruiter, two British recruits and an Alt-Right 'white boy' from California, and has which has now been adapted into a drama BBC Four. Guitarist and songwriter Richard Hawley thought he hated musicals, realised that actually he quite liked them and went on to write one that opened this week at the Crucible Theatre in Sheffield. Standing at the Sky's Edge is about Park Hill, the flats the that flank Sheffield like a city wall. It tells their story, from the optimism of their conception as an urban utopia, through dereliction and recent redevelopment and recovery. Woven through are Hawley's songs, and the professional cast is augmented by many local people. The writer, broadcaster and Sheffield resident, Paul Allen, reviews the show. Betrayal by Harold Pinter is at the Harold Pinter Theatre, London until 08 June 2019. Images - main image above and image to the left: Harold Pinter at the BBC in 2004 and in 1969. The Believers are But Brothers is on BBC 4 at 10.00pm on 24 March 2019, and on the BBC iPlayer. The play from which the TV show is adapted is at Stratford Circus Arts Centre, London on the 03 - 04 April, and at the Tobacco Factory, Bristol from 23 - 27 April 2019. Standing at the Sky's Edge by Richard Hawley is at The Crucible Theatre, Sheffield until 06 April 2019.